Mr. Whitaker’s philosophy of total preparation, coupled with a dose of creativity, has served his clients’ interests for over 25 years. Since joining Figari + Davenport, Mr. Whitaker has represented insurers, other corporations, and individuals in sophisticated litigation matters involving a wide variety of issues in various state and federal courts as well as in arbitrations. Mr. Whitaker has handled hundreds of life, disability, and health insurance cases, including bad faith and deceptive trade practices claims and ERISA litigation. 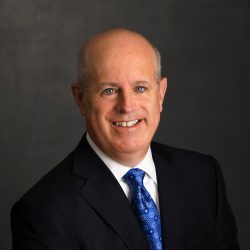 Mr. Whitaker has also handled shareholder and partnership disputes, wrongful termination and related employment matters, disputes arising out of Ponzi schemes, and a variety of other commercial matters. Although the bulk of his work has been on the defense side of the docket, Mr. Whitaker has recently helped secure multi-million dollar settlements for a client in a partnership dispute and on behalf of a non-profit organization that was looted by its former CEO. Mr. Whitaker practices at both the trial and appellate level and is admitted to all of the federal district courts in Texas, the Fifth Circuit Court of Appeals, and the Supreme Court of the United States. Mr. Whitaker is also AV-rated by Martindale-Hubbell. In Provident Life & Acc. Ins. Co. v. Knott, 128 S.W.3d 211 (Tex. 2003), aff’g in part and rev’g in part, 70 S.W.3d 924 (Tex. App.--Eastland 2002), the Supreme Court of Texas unanimously ruled in favor of Mr. Whitaker’s client that the plaintiff physician was not totally disabled as a matter of law and, in so holding, disapproved of three prior decisions indicating that the terms of disability insurance policies should be rewritten to include a common-law definition of total disability that was pro-plaintiff. In Leipzig v. Principal Life Ins. Co., 481 F. App’x 865 (5th Cir. 2010), aff’g, 707 F. Supp. 2d 685 (N.D. Tex. 2010), the Fifth Circuit affirmed the district court’s decision in favor of Mr. Whitaker’s client on the merits of an ERISA dispute. In a subsequent opinion, the Fifth Circuit reversed the district court’s denial of the insurer’s fee claim, 405 F. App’x 862 (5th Cir. 2010), and the case then settled through the losing claimant’s payment of attorney’s fees. In Moody Nat’l Bank of Galveston v. GE Life & Annuity Assur. Co., 270 F. Supp. 2d 875 (S.D. Tex. 2003), the district court entered summary judgment in favor of Mr. Whitaker’s client in a dispute over the validity and effect of an assignment. After some post-judgment wrangling over costs, Mr. Whitaker convinced the Fifth Circuit to dismiss the other side’s appeal as untimely filed. Moody Nat’l Bank of Galveston v. GE Life & Annuity Assur. Co., 383 F.3d 249 (5th Cir. 2004), cert. denied, 543 U.S. 1055 (2005). In Avalon Residential Care Homes, Inc. v. GE Fin. Assur. Co., 72 F. App’x 35 (5th Cir. 2003), aff’g, No. 3:02-CV-0631-L, 2002 WL 32359947 (N.D. Tex. Oct. 18, 2002), the Fifth Circuit affirmed the district court’s dismissal in favor of Mr. Whitaker’s client in an action under the Fair Housing Act. In Massachusetts Mut. Life Ins. Co. v. Sanders, 787 F. Supp. 2d 628 (S.D. Tex. 2011), the district court entered summary judgment in favor of Mr. Whitaker’s client on its entitlement to interpleader relief and awarded over $20,000 in fees. In Ortiz v. A.N.P., Inc., 768 F. Supp. 2d 896 (S.D. Tex. 2011), the district court entered summary judgment in favor of Mr. Whitaker’s client on both the applicability of ERISA to an employer’s claims against its occupational accident insurer and the merits of such claims. In Wall v. Northwestern Mut. Life Ins. Co., No. 06-2365, 2008 WL 4450283 (W.D. La. Sept. 29, 2008), the district court entered summary judgment in favor of Mr. Whitaker’s client on the plaintiff’s breach of contract claim under a disability insurance policy and his claim for penalties under Louisiana law. In Dear v. Union Central Life Ins. Co., 573 F. Supp. 2d 958 (W.D. Tex. 2008), the district court entered summary judgment in favor of Mr. Whitaker’s client on the applicability of ERISA to an occupational accident policy and the enforceability (under both ERISA and Texas law) of a “first-dollar” subrogation provision, resulting in payment of the full subrogation lien and an additional $40,000 in attorney’s fees. In Acuna v. Connecticut Gen. Life Ins. Co., 560 F. Supp. 2d 548 (E.D. Tex. 2008), Mr. Whitaker discovered that the plaintiff had failed to disclose the disability policies at issue and her claims thereunder in her bankruptcy action, and the district court entered summary judgment in favor of Mr. Whitaker’s clients on the basis of judicial estoppel and standing. In the same case, the district court entered summary judgment in favor of Mr. Whitaker’s clients (after an adverse ruling from the magistrate judge) that ERISA applied to a series of individual disability policies issued to the shareholder-doctors in a professional association. Acuna v. Connecticut Gen. Life Ins. Co., 572 F. Supp. 2d 713 (E.D. Tex. 2008). In Harris Methodist Fort Worth v. Sales Support Servs. Inc., No. 4:01-CV-567-Y, 2006 WL 6012871 (N.D. Tex. Sept. 26, 2006), the district court entered summary judgment in favor of Mr. Whitaker’s clients on the ground that the excess-loss policies at issue did not cover the $666,931.89 owed by the defendant employer in connection with the birth of premature twins. In Kerans v. Provident Life & Acc. Ins. Co., 452 F. Supp. 2d 665 (N.D. Tex. 2005), the district court entered summary judgment in favor of Mr. Whitaker’s client that ERISA applied to the individual disability policies issued to the sole shareholder of a professional association, even though another judge in an earlier action between the parties had refused to make that same ruling. In Smith v. Northwestern Mut. Life Ins. Co., No. 4:99cv49, 2000 U.S. Dist. LEXIS 23086 (E.D. Tex. Mar. 3, 2000), the district court entered summary judgment in favor of Mr. Whitaker’s client on the ground that the plaintiffs’ claims for misrepresentations, fraud, and statutory violations arising out of their conversion of their life insurance policies were all barred by limitations. In American Heritage Life Ins. Co. v. Morales, 159 So. 3d 160 (Fla. Dist. Ct. App. 2015), the district court entered summary judgment against the defendant insurer regarding a claim under an accidental death and dismemberment policy, and Mr. Whitaker briefed the appeal for the insurer and helped convince the Third District Court of Appeal of Florida to reverse and render judgment in his client’s favor. In RSL Funding, LLC v. Pippins, 499 S.W.3d 423 (Tex. 2016), aff'g, 424 S.W.3d 674 (Tex. App.--Houston [14th Dist.] 2014), the Supreme Court of Texas affirmed the ruling of the Houston Court of Appeals that the plaintiff factoring company could not conduct an arbitration against annuitants who had purchased annuities issued by Mr. Whitaker's clients. In In re Merrill Lynch, Pierce, Fenner & Smith, Inc., No. 05-09-00104-CV, 2009 WL 445772 (Tex. App.--Dallas Feb. 24, 2009, orig. proceeding), the Dallas Court of Appeals declined to grant mandamus relief compelling arbitration, even though Mr. Whitaker’s client had signed several Form U-4s containing arbitration provisions. In Certain Underwriters at Lloyd's v. LM Ericsson Telefon, AB, 272 S.W.3d 691 (Tex. App.--Dallas 2008, pet. denied), the Dallas Court of Appeals reversed the trial court’s summary judgment (which had been entered while Mr. Whitaker’s client had been represented by another firm) and rendered judgment that the plaintiff subsidiary was not an insured under either the underlying $15 million technology liability insurance policy or the $10 million excess professional indemnity policy issued by Mr. Whitaker’s client. Other favorable rulings obtained by Mr. Whitaker for his clients include Thompson v. Unum Life Ins. Co. of Am., No. 3:03-CV-0277-B, 2005 WL 722717 (N.D. Tex. Mar. 29, 2005) (finding ERISA applicable to all of the plaintiff’s claims); Edens v. United Benefit Life Ins. Co., No. 4:01-CV-0263-A, 2001 WL 1143140 (N.D. Tex. Sept. 25, 2001) (entering summary judgment against the plaintiffs on all of their extra-contractual claims); First Colony Life Ins. Co. v. Bailey-Mason, No. 3:00-CV-1417-M, 2001 WL 705786 (N.D. Tex. June 18, 2001) (granting interpleader relief and awarding $13,355 in fees to the insurer); Unum Life Ins. Co. of Am. v. Brandon, No. 3:98-CV-2835-D, 2000 WL 175363 (N.D. Tex. Feb. 14, 2000) (awarding attorney’s fees to the plaintiff insurer in an ERISA action to recover overpaid benefits); Dallas County Hosp. Dist. v. Group Med. Ins. Protection, No. 3:97-CV-0060-D, 1998 WL 101740 (N.D. Tex. Feb. 25, 1998) (entering summary judgment in favor of the defendant insurer in an ERISA action).